When you think of the casino world, the image most people have in their head is Las Vegas and its millions of neon lights. This idea of action and activity has become synonymous with the gambling world over the decades. Many of the internet's top casinos have also embraced this Las Vegas design-trend with one of the most well-known of these sites being Casino-X. When you load up the site and create your first account, you'll be bombarded with banners, widgets, gaming options and information. Although some would say this is too much, it doesn't feel that way. It's true you can see there's a lot going on, but nothing feels too over the top. In fact, the combination of page elements actually works extremely well. These elements give Casino-X a vibrant feel that many older online casinos lack. Indeed, despite being around since 2005, this platform doesn't look its age thanks to a wealth of modern features. 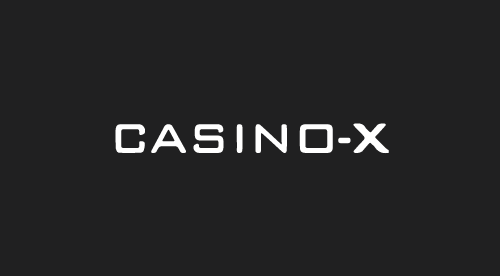 Whether you're playing via your desktop or mobile, Casino-X offers instant gaming, bonuses and payment processing and it's all wrapped up in a great looking interface! Casino-X offers a full suite of iGaming products that are all verified as fair by eCOGRA. Beyond this, AntillePhone has certified Casino-X and ensures that you're afforded a safe and secure platform at all times. Through this combination of legal and statistically sound software, you'll be able to access more than 400 casino games from 20 leading software suppliers. In fact, when it comes to diversity, Casino-X potentially has the largest network of software partnerships in the business. From Microgaming and NetEnt to Play N'Go and Elk Studios, you'll find the top slots, table games and live dealer tables from virtually every leading software provider in the business. On top of this you'll also receive five welcome deposits when you sign-up with wagering requirements as low as 20x. This collection of golden hellos is complemented by a 200 free spins bonus handed out 10 days after you've made a €20 deposit as well as a comp points system where time and effort means more money in your pocket. 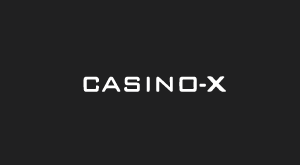 All members of Casino-X get instant access to free play and real money games via their mobiles, tablets and desktops. Depending on your preferences, you'll find the following and more when you ante-up: Video Slots, Jackpots Slots, Live Games, Video Poker, Blackjack, Roulette, Baccarat, Casino Hold'em and Pai Gow Poker. Beyond the standard selection of casino games, you'll also be able to take part in weekly slots tournaments with major prizepools. Costing just a few comp points to enter, these tournaments give you the chance to win exclusive prizes as well as points you can then use to purchases bonuses, free spins and much more!